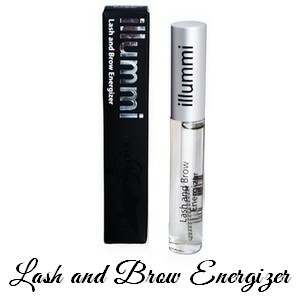 So you’ve always dreamed of having fabulous lashes, but always been wary of false eyelashes, and extensions. 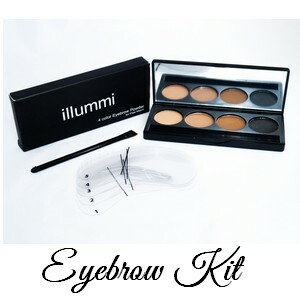 Maybe you’ve tried them in the past but found them difficult to apply, and heavy to wear, you may have even given extensions a try, but then realised you actually lost some of your own eyelashes, or they didnt quite look right. It could even be that the cost of maintaining them was quite high, and the actual thought of all that glue going near your eyes was terrifying. 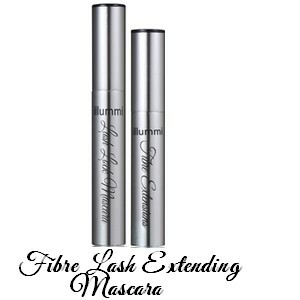 illummi Fibre Lash Extending Mascara is truly the way forward when it comes to having amazing eyelashes. 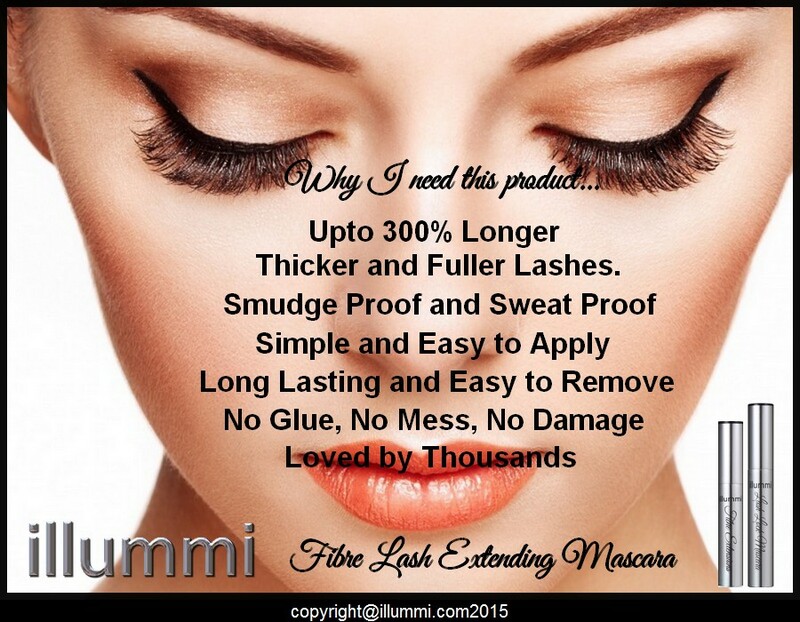 We can promise you that in 3 simple steps, you will have lashes that are upto 150% longer, thicker and fuller. 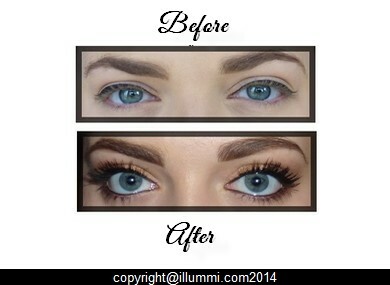 illummi Fibre Lash Extending Mascara is so wonderful that even people with barely there lashes now have longer and thicker eyelashes. Another great thing about our mascara is that it will not go clumpy or crispy, no matter how many layers you apply…….Say goodbye to false eyelashes, and crispy mascara….Forever. 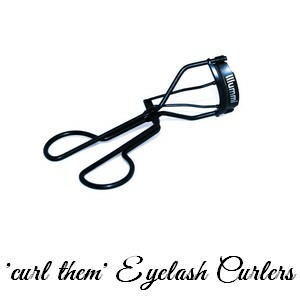 Step 1: Apply a layer of the lash lock mascara. making sure your lashes are covered well. Step 2: Whilst the mascara is still wet gently apply a layer of the illummi fibre extensions evenly coating your lashes. Always finish with a layer of the lash lock mascara. Please note we recommend you do one eye at a time for best results. Apply some warm water onto your eyelashes and wait for a few minutes for the fibres to soften, then gently remove using either water or your usual eye makeup remover. Fibres: 100% hypoallergenic and natural.